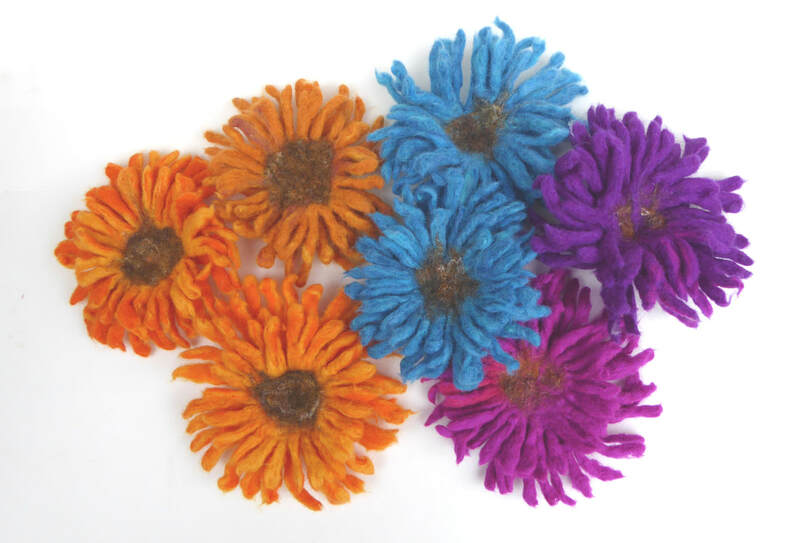 handmade felt flowers - camelias, poppies,sunflowers & daisies, roses and anemones - so many colours and shapes! 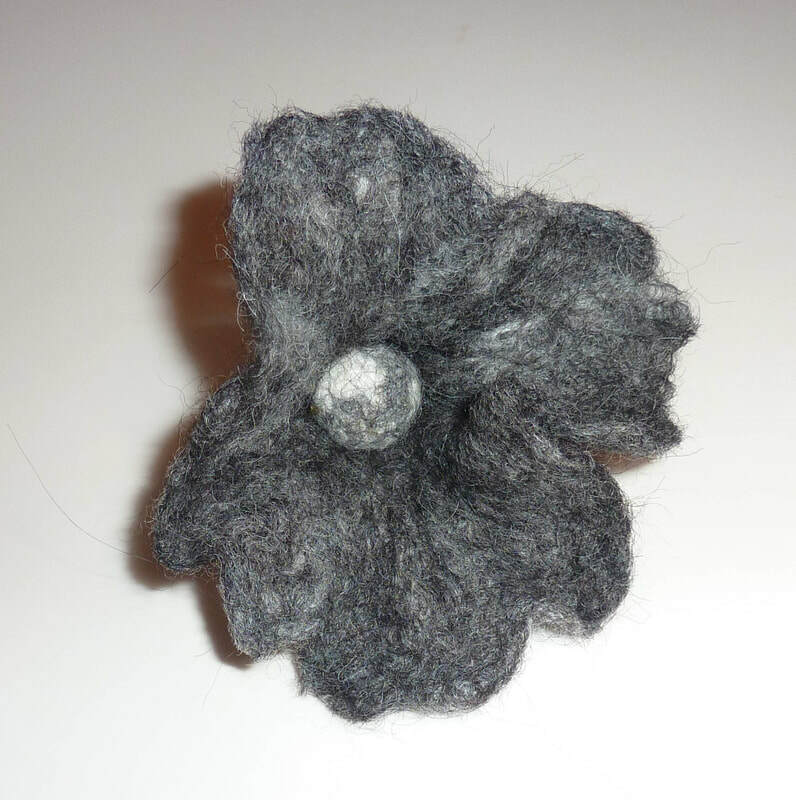 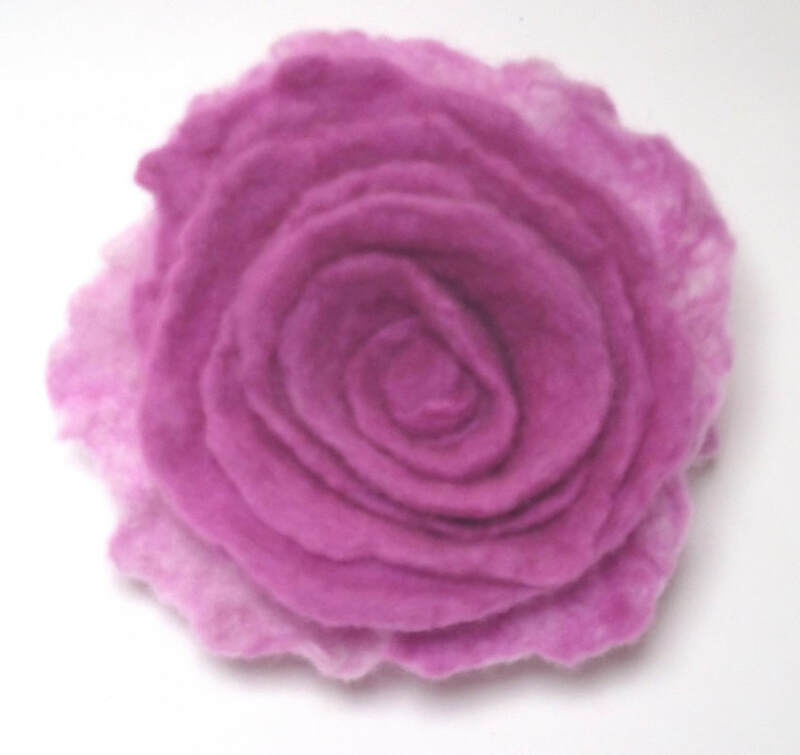 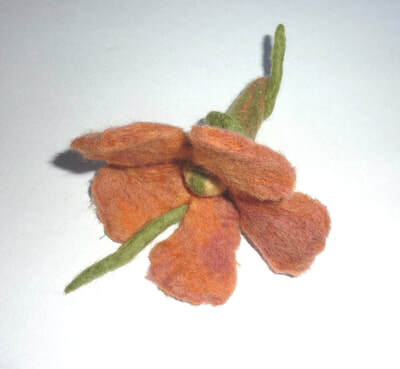 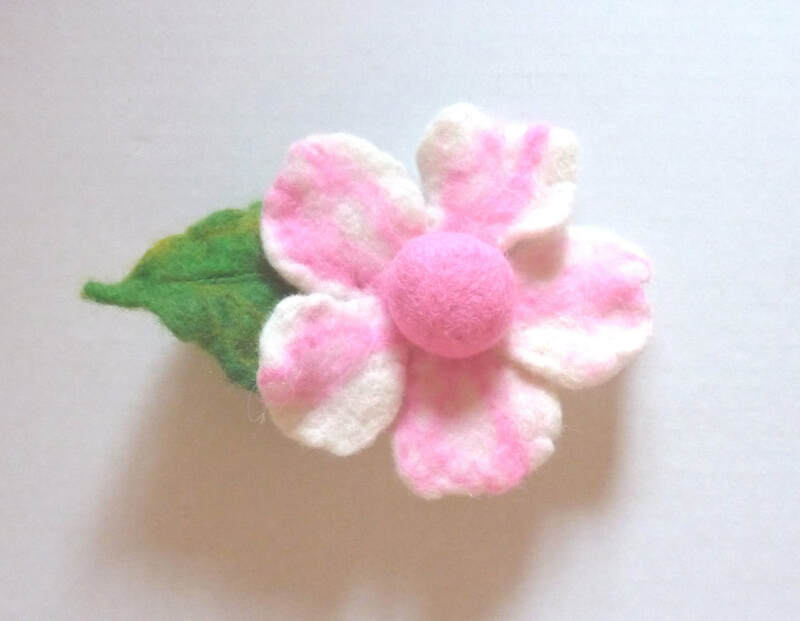 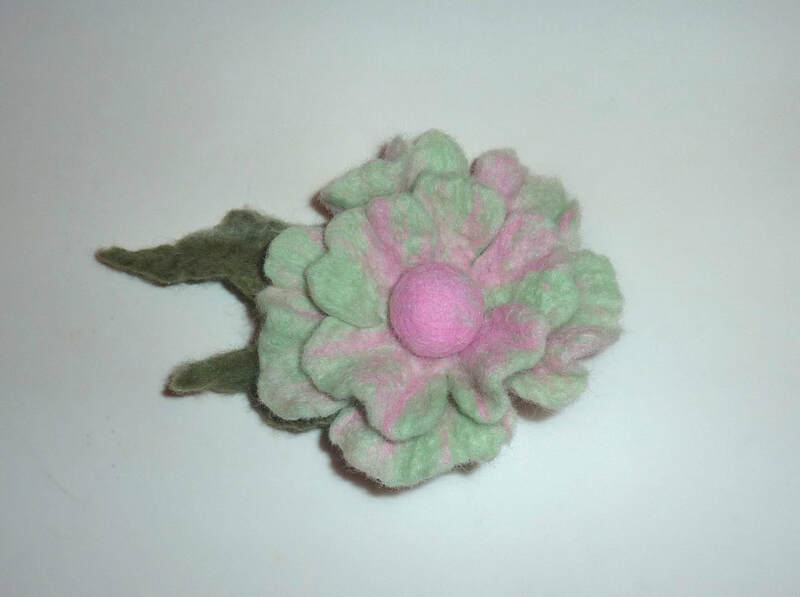 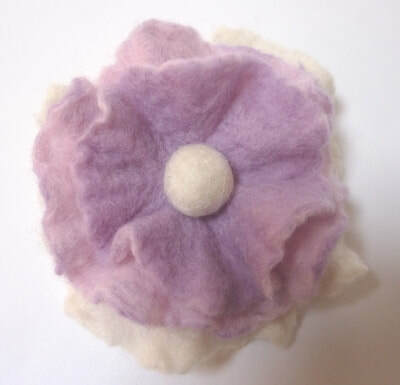 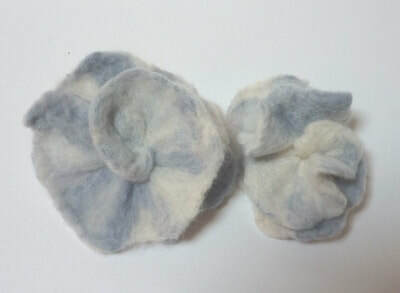 My handmade felt flowers are based on lovely 'real English garden' flowers! Most are made as brooches, but the ones above are wind-chimes - with fused glass 'stamens' that tinkle really delicately in the breeze - lovely for a conservatory or a child's bedroom or nursery. 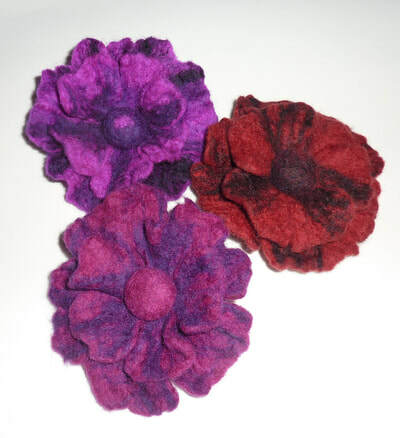 Check out the Royal British Legion page, too, for poppies which raise funds for The Royal British Legion all year round. 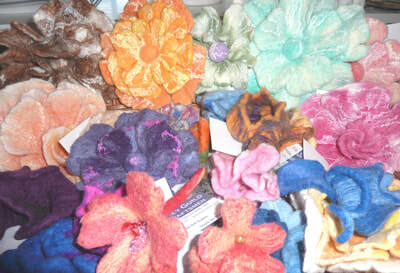 I also make roses on stems, wrapped in cello to make a pretty gift. 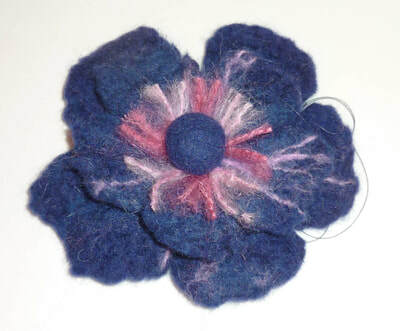 I am always experimenting, so please check back for the latest additions - new shapes, sizes and colours! 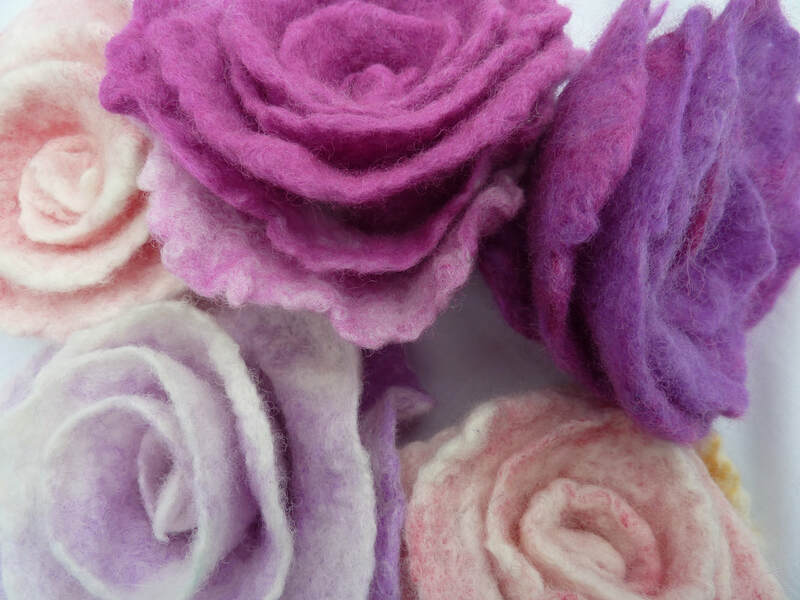 In the meantime, if you want flowers made in your own choice of colour combinations (say for a wedding or a special gift,) just get in touch at flights-of-fantasy@hotmail.com. 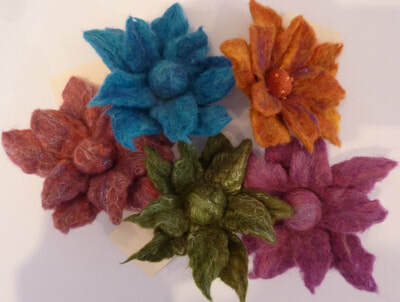 Postage is £2.95 for one flower or leaf brooch - please contact me for combined p&p prices if you are ordering more than one brooch or larger items from other pages. These are just some of the VERY many colours which are available. 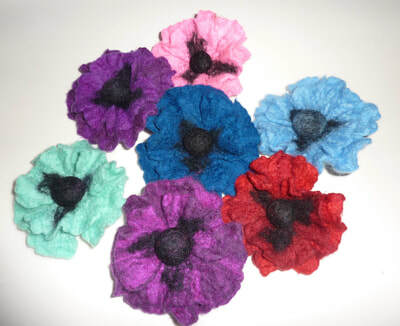 These 'poppy' shaped flowers are the most popular and I can make them in almost any colour or combination of colours. If I have the fibres in stock they won't take long to make, but if I have to order wool specially for you, sorry, there may be a wait, so do think ahead! 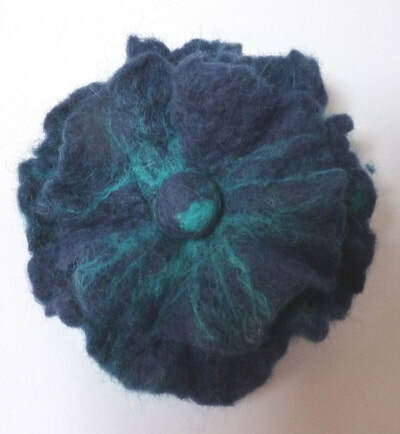 Centres can be felt, buttons or beads or perhaps you have some vintage/favourite buttons or beads of your own you'd like me to add?